Liverpool left-back Andrew Robertson has been ruled out of Scotland’s opening Euro 2020 qualifier against Kazakhstan due to a mouth injury. The Scotland captain is suffering with an abscess and, after consulting with the national team’s medical staff, has been forced to miss the trip to Astana. Scotland face Kazakhstan at the Astana Arena on Thursday evening. But their skipper is staying in Glasgow for treatment on his abscess. He had been trying to find a way to play in the game as late as Monday afternoon. 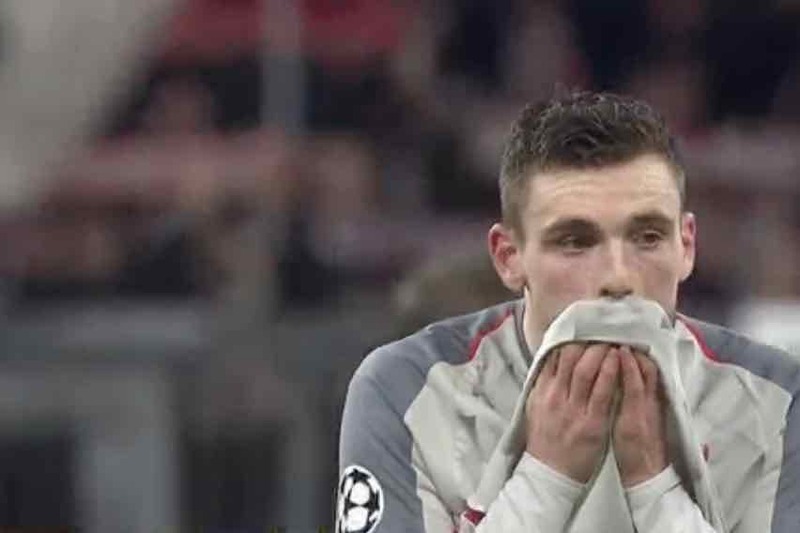 But with the squad having already left for Kazakhstan on Sunday evening, it was decided with the medical team that Robertson should sit the game out. He is expected to overcome his dental problems in time to feature for Alex McLeish’s side second qualifier against San Marino on Sunday. The Reds star is due to report for duty on Friday to link up with his international team-mates when they return from Kazakhstan. Celtic’s Kieran Tierney is expected to operate at left-back in Astana in Robertson’s absence.